The signature aesthetic of Abby Jocson is reflected in contemporary collections that cater to both the alpha female and modern-day Juliet. Her hybrid bags are intended to appeal to the driven and ambitious corporate glamazon – all while channeling her romantic, inner charmer. Her designs have been the subject of features on ANC Shoptalk and RPN Spotlight , and have also been showcased in magazines such as Preview, Chalk and Entrepreneur. 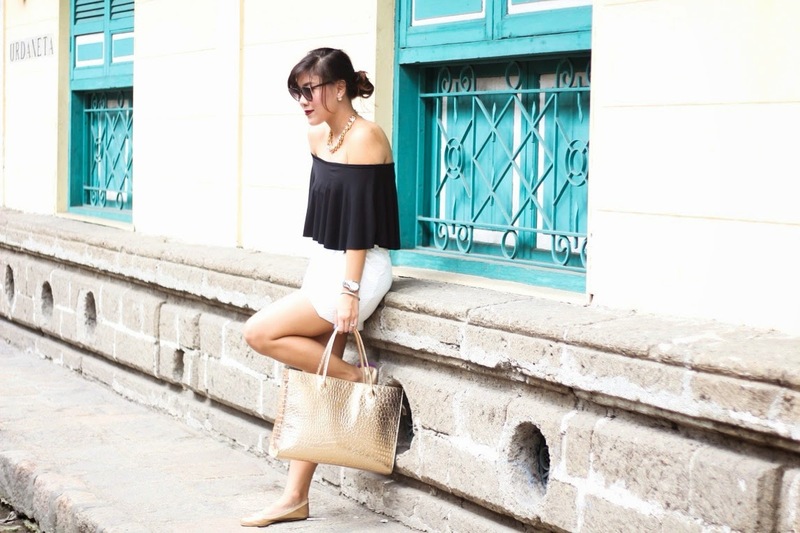 On the digital platform, her work has been profiled by noted fashion bloggers Camille Co and Laureen Uy among others, with relevant exposure on top sites Lookbook.nu, StyleBible.ph and WheninManila.com introducing the brand to a wider contemporary audience. Abby Jocson collections have made their way to practically every corner of the globe, with official resellers in the Unites States, Canada, Italy, Brunei and Singapore. Her designs are slated to be carried at The Ramp Crossings very soon, and the blueprints for their very first Manila flagship store are in the pipeline as well. I simply love the design and colour of this bag! You can use it for a casual or formal event that can be paired so easily with any outfit you desire to wear! Who wants to have a bag for free from this outstanding designer? Simply follow the steps below and get a chance to win this GOLD CROCSKIN DOCUMENT TOTE from Abby Jocson! Contest period is from October 20-30 only so join now! Good luck loves!